The Sun, like a heat lamp gone ape, beat down upon the streets and fields of Lake County all week. And whenever it's hot enough to fry on the sidewalk a deep-fried Cheeto, expect to see your LakeCountyEye cozy with the ice-chest, in the beer tent, at the Lake County Fair. 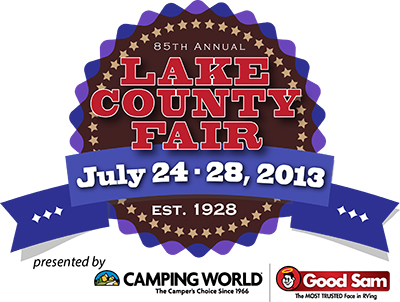 The Lake County Fair is giving residents the opportunity to submit ideas of items to be sealed into a time capsule and buried in the Lake County Fairgrounds. The time capsule will be dug up in 15 years on the fair's 100th anniversary. "We're really hoping for out-of-the-box ideas"
Look for your LakeCountyEye eyeing that corndog near you.